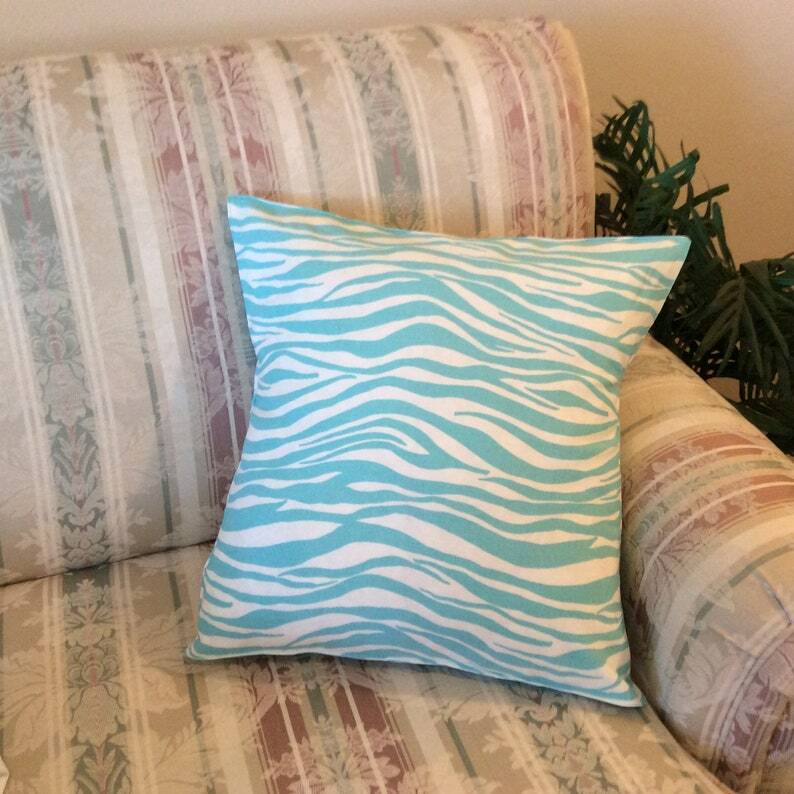 This lovely pillow cover is a very pretty teal zebra print. 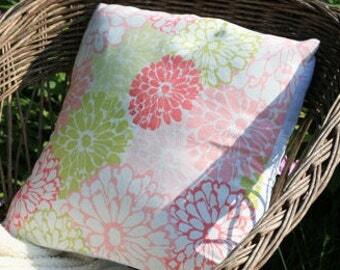 Front and back of the pillow are made of the same material, with an envelope closure. 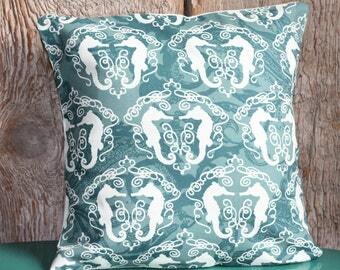 Top stitched in teal for crisp shape and added durability. 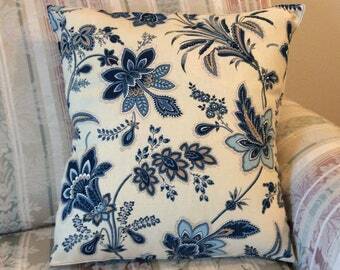 This listing is for one pillow cover only. It does not include the insert. Each of our items is made one at a time. We are not a mass manufacturer! Pattern placement may vary between covers. Item dimensions may vary by up to 1/2".